It is with great sadness that I must tell you that Jack Mowbray passed away early this afternoon at Johns Hopkins hospital in Baltimore surrounded by his wife Natalie, and daughters Marjorie and Jana. The museum sends its sympathies to the Mowbray’s with Jack’s passing. Personally, Jack was a great friend to me. He and I had many special and great times together over the years. Jack had many friends at the museum and we will all miss his presence at the museum. 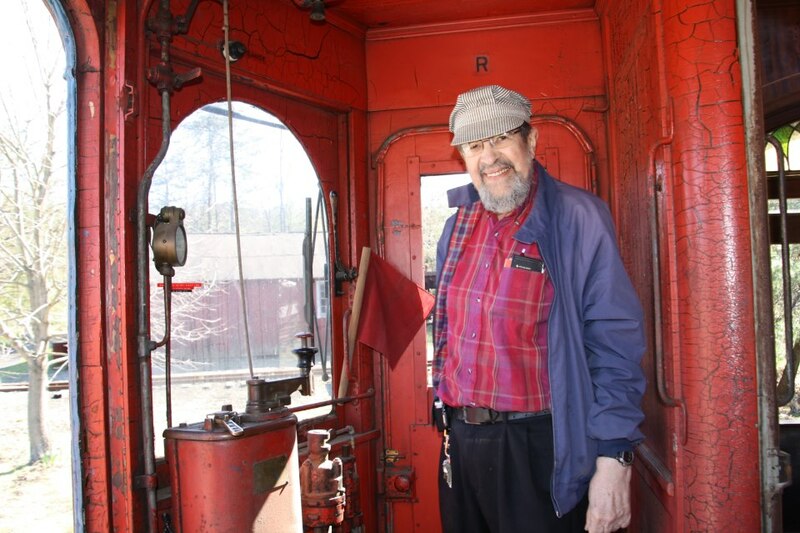 It’s hard to think that we will not have his laughter, humor, guidance and wisdom at the trolley museum anymore. Jack had been a member of Railways To Yesterday Inc. (Rockhill Trolley Museum) since its earliest days, holding Membership #11. He was most recently Chairman of the Board. A native of the Lehigh Valley, Jack was one of the organization’s few remaining members who had first hand memories of the Lehigh Valley Transit Company, which he rode to school in his youth. In lieu of flowers the family has asked for donations to be made to the Rockhill Trolley Museum, specifically Chicago Aurora & Elgin car 315, Jack’s favorite car at the museum. The car is under restoration, but returned to operation in 2012, with Jack being the first person to operate the car in many years. For me personally, it was one of my happiest days at the museum, to see Jack operate his favorite car once again. I’m sorry to have to give this news to you as I know some of you knew Jack for many years. Rest in peace dear friend Jack, you will be sorely missed! Okay, you’ve only got four days to plan something for dad! What do you do? We have some ideas for you that dad is sure to appreciate, all of which you still have time to pull-off! Weekend getaway in the Raystown Lake Region: If dad loves the water, why not rent a houseboat from Seven Points Marina or Lake Raystown Resort Lodge and Conference Center? It is impossible to find accommodations any closer to Raystown Lake than a houseboat! These are perfect for the dad who loves to fish, swim, kayak, grill, and/or drive a boat. Plus mom and the family get the comforts of home with fully equipped kitchens, and bathrooms, not to mention comfy beds! Other types of accommodations are also available this weekend from camping to bed and breakfasts, cabins and vacation homes. Visit Raystown.org/places-to-stay to hone in on exactly the type of lodging you are looking for! Nostalgia and Ice Cream: Is dad the guy who loves cars, or is he the guy who has fond memories of riding the streetcar through his hometown? Why not treat him to a visit to the Swigart Automobile Museum, and take him for a ride and an ice cream treat at the Rockhill Trolley Museum? 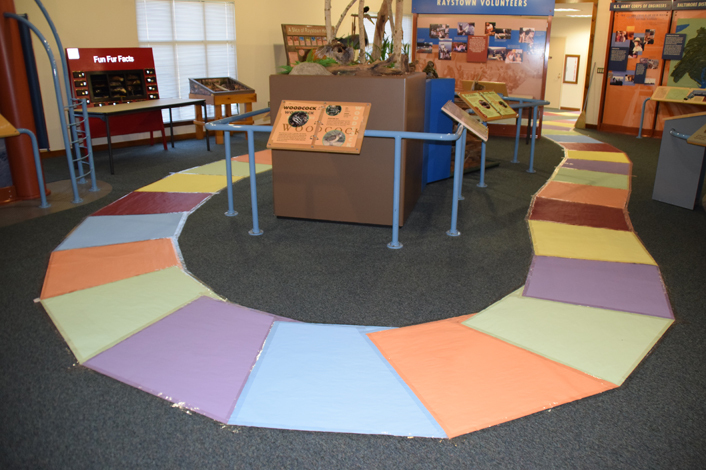 Other great places to reminisce are the Isett Acres Museum, Altoona Railroaders Memorial Museum, and the Broad Top Area Coal Miners Historical Society Museum. The Bird’s Eye View: Take dad on a road trip he’ll never forget. Stop at Jo Hays Vista on Route 26 for a bird’s eye view of Happy Valley, then let him interact with raptors at Shaver’s Creek Environmental Center. After that, head south to Ridenour Overlook and Hawn’s Overlook for great views of Raystown Lake. Get back on Route 26 south then turn right onto 164 west to check out the views from atop Tussey Mountain on your way to a surprise helicopter tour of Raystown Lake or the Horseshoe Curve with Pine Bottom Aviation! Check out this Google Map for directions and suggested places for eating along the way! Buck the System: Admit it, there’s something mesmerizing to almost all dads about cowboys riding bucking broncos and bulls! If this describes your dad, then you need to get him tickets to the Central Pennsylvania Rodeo this weekend! Add in some great vittles, and dad can settle into the grandstand at the Huntingdon County Fairgrounds, and have a mighty fine time! Yee Haw! The Old Standbys with a Different Twist: So, the old standby is more your speed for a Fathers Day gift…The RLR has you covered there too! Want a sweater or socks? Then check out Terrace Mountain Alpacas for great Alpaca wool products. New camping gear? Rothrock Outfitters and Bear Creek RV have your back! Dinner and a show? Check out some great places to eat and the Clifton 5 or Playhouse at McConnellstown! A Gift from the heART: Gifts of art are always appreciated. The RLR has some great places to find the perfect piece of work for your favorite piece of work, I mean dad! Check out the Log Cabin Gallery Shop, Vintage Art Glass and the Foxy Grape, Li’l Deb’s Custom Stained Glass, Reeve’s Gift Boutique, Raystown Reflections Gift Shoppe, and Family Treasures, all have great artwork for sale! If you are still at a loss, then give us a call at 888-729-7869, and we’ll help you out! The Rockhill Trolley Museum has been associated with the East Broad Top Railroad and the Kovalchick family since 1960. 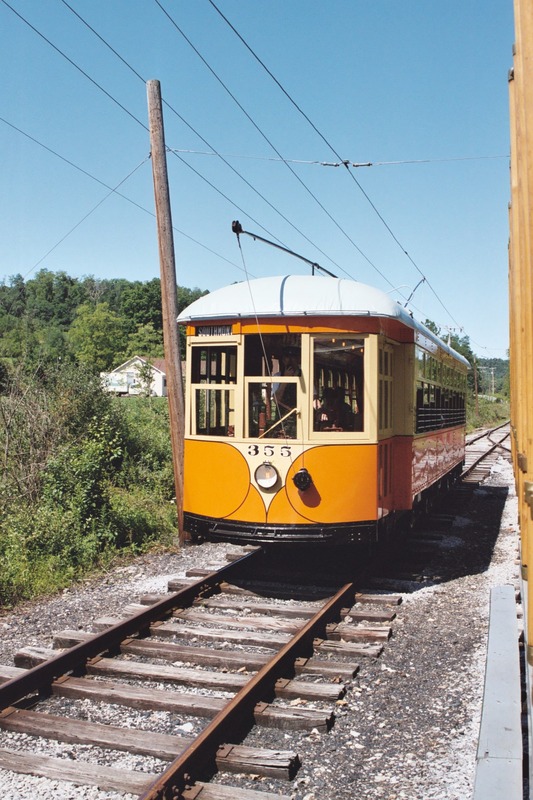 It was in October of that year that Johnstown Traction Company # 311 was moved to Rockhill Furnace and became the first trolley in what is now known as the Rockhill Trolley Museum. During 2012, the trolley museum will continue to operate on its normal schedule of weekends only, starting Memorial Day weekend through the end of October. The winter holiday events will take place in late November and early December. Additional special events will be held throughout the year. Please check our website at www.rockhilltrolley.org for a complete listing of all of our 2012 events. While associated with the EBT Railroad for over fifty years, the trolley museum is a separate non-profit corporation operated by Railways To Yesterday, Inc. The Rockhill Trolley Museum is deeply grateful for the many years of support from the East Broad Top Railroad and the Kovalchick family. We are looking forward to many more years of mutual help and cooperation. The trolley museum is staffed entirely by volunteers that are responsible for all aspects of the museum. We are deeply disappointed to hear that the EBT will not operate during 2012. The Rockhill Trolley Museum looks forward to the operation of East Broad Top Railroad in the future. We learned late last week that the East Broad Top Railroad will not be operating in 2012. The historic narrow-gauge railway has been in operation for around 140 years, including the last five decades as a tourist railroad. Operating a tourist attraction using century-old equipment in century-old buildings, on a century-old right-of way presents a unique set of challenges. We don’t know all of the details of the decision why not to operate this summer, but we know that some significant investments are needed to keep the steam operation running smoothly and safely for the general public. Railroad officials have stated on their Facebook page, that they still hope to be back up and running full-steam in 2013. There are several organizations who support the East Broad Top Railroad, its preservation and promotion, including the Friends of East Broad Top, Broad Top Area Coal Miners Historical Society, East Broad Top Preservation Association, Railways To Yesterday (operators of the Rockhill Trolley Museum), and the Kovalchick family, who have owned the railroad since 1956, just to name a very important few. Tours of the railroad shops in Rockhill will continue to be available to groups of 20 or more people this summer. These tours are amazing in and of themselves. The twin communities of Rockhill and Orbisonia will continue to hold their homecoming and Christmas in Our Hometown events, and the Rockhill Trolley Museum will continue its weekend operations beginning this Memorial Day weekend. In other words, there is still a lot of history and activity to be explored in the Rockhill-Orbisonia area. Please don’t let the absence of steam excursions keep you away! 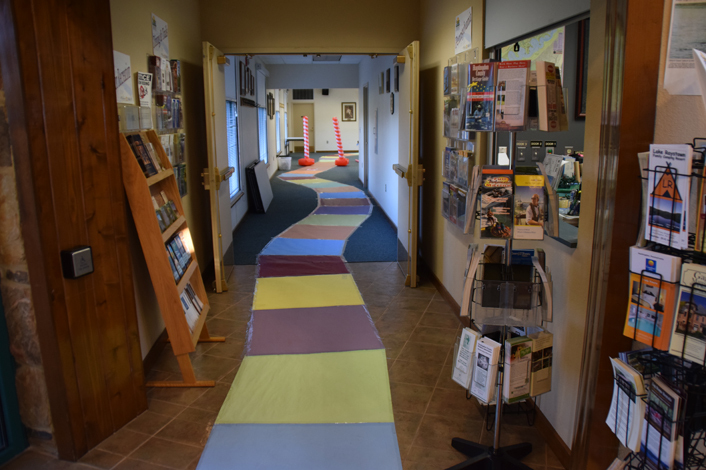 If you’d like help planning your trip, give the Huntingdon County Visitors Bureau a call at 888-729-7869. Rockhill Furnace, PA – The Rockhill Trolley Museum (www.rockhilltrolley.org), the operating entity of Railways To Yesterday, Inc., a 501(c) (3) non-profit educational corporation, is happy to announce its participation in an inter-museum exchange of historic vehicles and components between the Branford Electric Railway Association (www.bera.org), the National Capital Trolley Museum (www.dctrolley.org), and the Rockhill Trolley Museum, three of the East Coast’s well-known operating electric railway museums. The Rockhill Trolley Museum has deaccessioned and transferred ownership of 1899 vintage former DC Transit snow sweeper car #09 to the National Capital Trolley Museum in Colesville, MD. This car is one of only two former Washington, DC snow sweepers still in existence and remains in essentially the same condition as when it left Washington, DC, having been kept in protected storage for most of its 50 years in Rockhill Furnace. The exterior of the car was cosmetically restored by museum volunteers for its 100th birthday in 1999 and has operated approximately once per year by the museum for special events since that time. Its transfer to the National Capital Trolley Museum marks 50 years since the end of streetcar operation in Washington, DC. The acquisition of car #09 helps National Capital Trolley Museum replace sister car #07 which was lost forever after the museum suffered a tragic fire on September 28, 2003. Car #09 last swept snow at Rockhill Trolley Museum in 2000. In exchange for its transfer of ownership of car #09 to National Capital Trolley Museum, Rockhill Trolley Museum acquires former Iowa Terminal Railroad 1911 vintage snow sweeper #3 as well as a pair of Brill trucks suitable for use under 1895 vintage former Valley Railways car #12. Former Iowa Terminal Railroad #3 was constructed in 1911 by the McGuire-Cummings company; the same entity that constructed DC Transit #09, and is representative of the style of snow sweeper used by electric railways from coast to coast that operated in colder climates. The car was cosmetically restored and made operable again by the Branford Electric Railway Association as a gift to the National Capital Trolley Museum in an effort to help the museum recover after its tragic 2003 fire. Cars similar to #3 operated in several central Pennsylvania cities including Altoona, Harrisburg, and Johnstown. Along with car #3, Rockhill Trolley Museum acquires a pair of former Brill 27F trucks suitable for use under former Valley Railways car #12 as it operated in its last years of operation. Valley Railways #12 is one of only a few cars in existence built by the Jackson and Sharp Company and is the sole remaining car known to exist from the Valley Railways. The body of this car was saved by Rockhill Trolley Museum in 1985 after 52 years of use as a structure. Acquisition of suitable trucks for this car accomplishes a long-sought goal for the museum and moves this car closer to restoration as an operating exhibit. The Rockhill Trolley Museum is one of the oldest continuously operating trolley museums in the Middle Atlantic, having operated trolleys every year since 1962. The museum offers a very scenic three mile round trip ride along scenic Blacklog Creek and is located across the street from the historic East Broad Top Railroad. For more information on the museum, as well as information on how to contribute to some of the other significant museum projects, when to visit and how to become a member, please visit www.rockhilltrolley.org. The Rockhill Trolley Museum extends its thanks to Branford Electric Railway Association and National Capital Trolley Museum for their cooperative efforts to make this historic exchange of equipment possible.